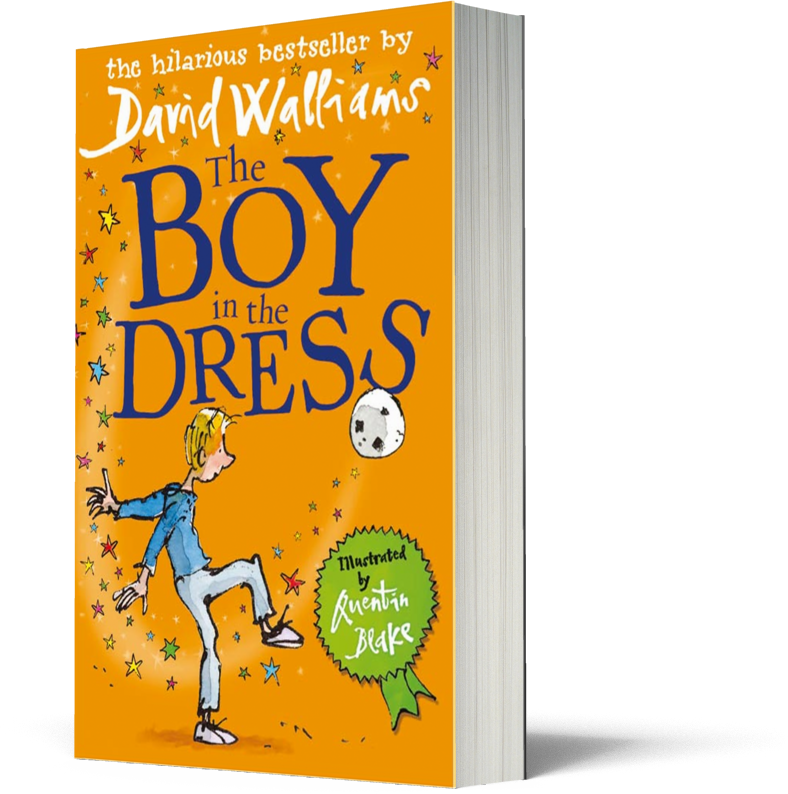 Surprising and hilarious, THE BOY IN THE DRESS is the amazing first book from David Walliams. Guaranteed to touch the hearts (and funny bones) of everyone! 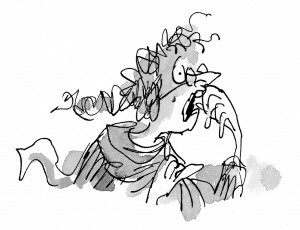 Brilliantly illustrated by the much-beloved Sir Quentin Blake. THE BOY IN THE DRESS is available now in paperback, hardback, audio download and ebook. 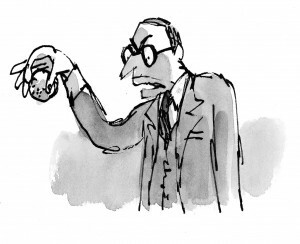 The headmaster, Mr Hawtrey, hated children. Lisa James. Only the most beautiful girl in the school. 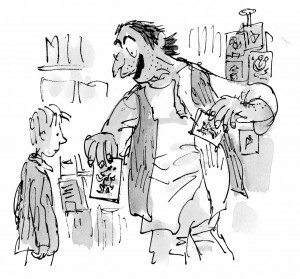 The shop was run by a very jolly man called Raj, who laughed even when nothing funny was happening. Dad was fat. Really fat. 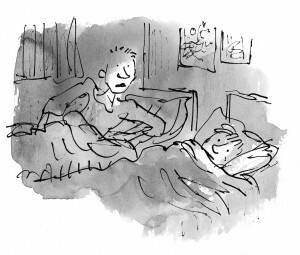 Dad worked as a long-distance lorry driver. Dennis and John sort of loved each other in that way that they had to because they were brothers. Darvesh was Sikh. 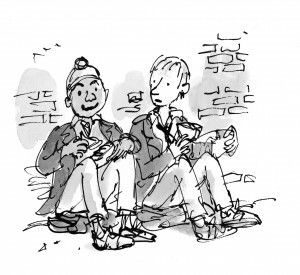 As he was in the same year as Dennis and at only twelve he didn't wear a turban yet. 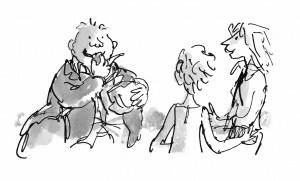 Mac was one of the fattest boys in the school, and endured the unwelcome celebrity that went with it. 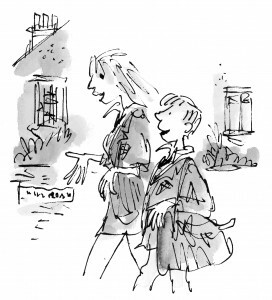 Miss Windsor always started the class in French. Check out the trailer for The Boy in the Dress below! 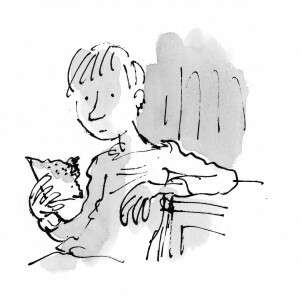 Listen to an extract from The Boy in the Dress below, hilariously read by David Walliams!